Practicing law can seem like an exercise in creating divisions—between right and wrong, aggrieved party and defendant, us and them—but the practitioners at the Environmental Law & Policy Center say their work is all about bringing people together. Board member Harry Drucker says that's a particularly important role in environmental campaigns, where it pays to be organized. “Policy is all about being able to act in a way that will bring about a desired result when conditions are right,” he says. When the political stars align, fortune favors the well-prepared. And Drucker says ELPC focuses as much on that up-front leg work as they do on the litigation, lobbying and media campaigns that come later. ELPC Staff at Casper Bluff, near Galena, Illinois. Pictured from left to right, front row: Beth Drucker, Al Grosboll, Beth Baranski; back row: Harry Drucker, Jim Johannsen, Steve Falck, Stephanie Chase, Steve Barg, Jen Tarr. Drucker should know. He was involved in a campaign in the late 1990s to stop the development of a massive prison complex on some of the last intact sand prairies in the Midwest. It was a personal fight. Drucker, who grew up in suburban Chicago, owns a farm about 13 miles south of Galena, Illinois, in a geological oddity known as the Driftless Region. Spanning the four corners of Iowa, Minnesota, Illinois and Wisconsin, the area boasts rolling hills and dramatic limestone outcroppings that owe to its never having been buried in miles of glacial ice, as was much of the Great Lakes region. It's an area of high biodiversity with fertile agricultural land. When Congress decided to close the Savanna Army Depot—a 10,000-acre area along the Mississippi River, sparsely developed with WWI-era munitions storage facilities—plans for a prison quickly drew opposition from local conservationists. In what their website calls “a remarkable blitzkrieg over a two-month period,” ELPC penned op-eds and galvanized a grassroots conservation movement that ultimately defeated a proposal they said would irreparably fragment a swath of fragile sand prairie. The prison eventually landed at a noncontroversial site a few miles south in Thomson, Illinois. As much as there's a typical process for launching such campaigns, the Depot fight followed it. Colleague organizations sometimes bring issues to ELPC, and in this case a slew of local landowners and conservation groups had alerted their regional offices. As Executive Director Howard Learner points out, environmental advocacy requires a collaborative approach. "Birds fly across state lines all the time, so there's a real advantage of looking at this on a regional, multi-state basis. Don Quixote on his horse standing alone is not usually how you win." Learner says that victory kicked off an ongoing interest in the Driftless Area. Through state offices in Minnesota, Iowa, Wisconsin and Illinois, ELPC is now looking closely at how to protect the region from future threats. The silica sand that's plentiful in the region happens to be a critical component of hydraulic fracturing—a technique for wresting unconventional fossil fuel reserves from the earth that has become explosively popular in recent years. Local groups are worried their unique landscape and way of life will suffer from unchecked growth in mining and ancillary industries, like increased trucking. A majority of frac sand companies operating in Wisconsin have committed environmental violations. Reprising its role as a convener in the region, ELPC is also working with groups such as the Driftless Area Land Conservancy, Trout Unlimited, Jo Davies Conservation Foundation and state chapters of The Nature Conservancy to draft a comprehensive plan for protecting the area. "There's a set of threats to the Driftless Area. ELPC’s public interest attorneys and policy specialists use a full advocacy toolbox while drawing on the conservation expertise of a number of our local on-the-ground partners. We combine forces to achieve creative solutions that make good sense." Over the next few years, Learner says, the focus will be not just on fighting bad actors, but on proposing positive alternatives. State and federal conservation money could be better spent, he says, if more long-term planning were part of the process. So ELPC's state offices are trying to help Driftless Area landowners team up for conservation projects in which the tax dollars allocated through their state Wildlife Action Plans can go further, instead of competing against one another on a first-come, first-serve basis. As with Drucker, the initiative is personal for Learner, who owns a home near Spring Green, Wisconsin. He fondly recalls canoeing and hiking there with his kids. 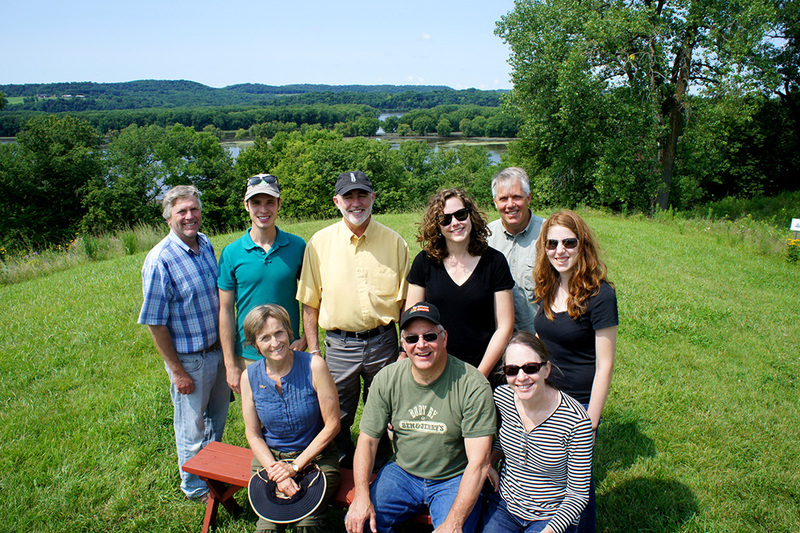 "As the ELPC staff and board looked around the Midwest, it was clear to us that the Driftless Area was a very special place that requires special attention to protect and preserve."